As I sit here, closing up shop so to speak, clicking all my to do’s off the list one final time for the year, and preparing to spend some much coveted time with my family and friends, I can’t help but reflect on the year that’s passed. Rather than giving up, we dove in deeper, and the results were festivals, awards, press, representation, loads of new friends, an expansion of the show into a 1/2 hour comedy, and most importantly for us, serious confirmation that the sky was the limit for this partnership. Despite our cultural and (ahem) fashion differences, Mhairi and I share the same sense of humor, work ethic and undying desire to lift people up, to make a difference, essentially we are on the same page, and as result, our collaboration feels effortless and fun. Looking ahead, 2016 will be all about expanding our collaboration, by first finding, and then working with, all the amazing future colleagues who will become beloved and instrumental contributors to making our 1/2 hour show the best it can possibly be, and we can’t wait to meet them. As you know, Tallulah fancies herself a revolutionary of sorts, “Saving the World One Sandwich at a Time”, but what you might not know is that we do too. Like I mentioned in our recent interview with BTR Productions, in a world consumed with bad news, where, even in fiction, darker storylines are all the rage, we consider it a conscious act of rebellion to offer up something light. 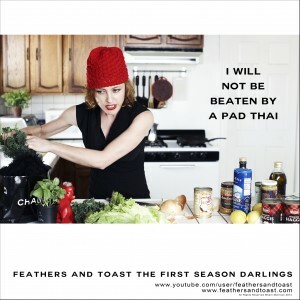 In fact, it is our most sincere hope for this holiday season and for the new year ahead that through Feathers and Toast, and the soon-to-be show, Tallulah Darling, that we can inspire you to consciously bring more play and silliness into your life. To put on that hat you’ve always wanted to wear, make that recipe you’ve always wanted to try, reach out to people you’ve always wanted to meet, conspire to make others laugh and just, in general, resolve yourself to have more fun, for no other good reason than just because. Don’t give up before you get to the good stuff. And without further ado, for your enjoyment, a holiday message from Mhairi and I as seen on WebVee Guide’s Holiday greetings. See you in the New Year. Whether people realize it or not, we are fully aware of the ridiculousness of Tallulah constantly banging on about the fact that she is a “classically trained mime” even though she literally never stops talking. Tallulah is quite possibly the chattiest Mime that ever existed. In fact, if there was a society for Mimes, I am pretty sure Tallulah would have been kicked out by now for talking too much. But she would never admit it. No darling, she would say she left because they were droll, banal and terrible conversationalists. 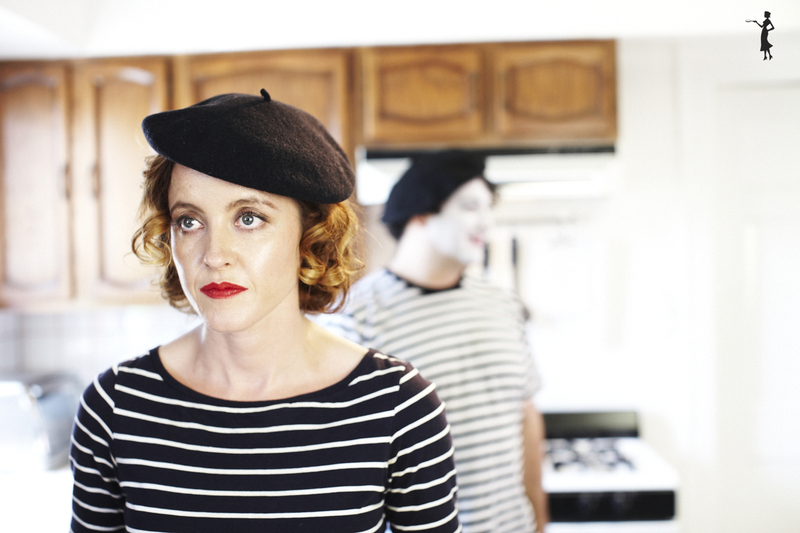 So as we were coming up with all these ways to keep messing with Tallulah over the course of Season 2, we knew we had to throw a mime into the mix. We found the perfect one in Mhairi’s dear friend Jabez Zuniga. I had never worked with him before but had a feeling that he was going to be great and he did not disappoint. The dichotomy of him back there, finding all these great moments, and Mhairi, straight faced, not having a clue what he was up to was, for me, hilarious. If you are making comedy, you better make yourself laugh. If you’re not even making yourself laugh, then you should keep honing it and developing it until you do. I know I’ve been yammering on about the business side of things for a while now, but when I re-watched what will be our video for the day today (which just happens to be the one Mhairi and I lovingly refer to as “The Infamous Pad Thai episode”) I realized its time to get back to talking about the creative. The Pad Thai episode was yet another creative turning point for us for multiple reasons. First, there was the obvious turning point in storyline. I think if anyone still had any doubts about whether this was an actual web cooking show or not, this episode killed that and showed that we were up to much more as this episode gave a more overt glimpse into the deeper narrative we were eventually going to tell. Second, this episode showed me what an incredible actress I was working with and that the sky was going to be the limit in what we could do with this show. It sounds silly now, but prior to seeing this footage I had never actually seen Mhairi in action. I am a Second City trained yes-and-er, so when she told me what she wanted to do with this show I just said yes, and then assumed she had the acting chops to pull it off, but up till then I hadn’t seen any proof. I just trusted that she was in fact “Classically trained”. For me there are 2 types of comedy: there’s the kind where the character knows they are funny, where they often keep it light, sometimes even ham for the camera and we, the audience, laugh with them and then there’s the kind where the character is actually quite serious, deeply invested in their circumstances and we, the audience get to laugh at them. I genuinely love both (as for me comedy is like Chocolate, some kinds are better than others, but I pretty much like them all) but if I’m honest, as a lifelong fan of Writer/Directors like James L. Brooks, The Coen Brothers and Cameron Crowe, Nancy Meyers, the second kind of comedy is my all time favorite, which is why I was over the moon to discover, based on Mhairi’s layered and nuanced Improv performance, that this was the kind of comedy we were going to get to make. The third turning point came in the form of another much needed confidence boost for me. Editing this episode was difficult, and not because I didn’t have good material to work with, but because she had given me so much. I was staring down the face of 3 awesome takes I was attached to, each with different emotional aspects that I adored, each offering different story elements I thought were important. I found that I was wanting to use the very best parts of all of them, but since this was Improv rather than scripted material, it was not at all obvious how all these elements would line up seamlessly and to be honest I didn’t know if I could pull it off. I would not have even had the option to grab the best of each take and make it look like it was seamless if I hadn’t had two different camera angles to draw from. Even with the 2 camera choices we still needed to employ the use of title cards on occasion to give it that seamless effect. Without further ado, here is the Infamous Pad Thai Episode. The episode that saved Marge’s life. The episode where Tallulah gives us an example of the difference between being the eagle or the chicken. The episode where Tallulah was not actually making a Pad Thai. Hahaha. In fact, I think all of you should ask her about that story. Hope to see you there darling and in the meantime wishing you the freshest of Springtime Weeks. Thank you so much for watching, Happy Holidays darling one and all! Hope this finds you well and baking pies and things. 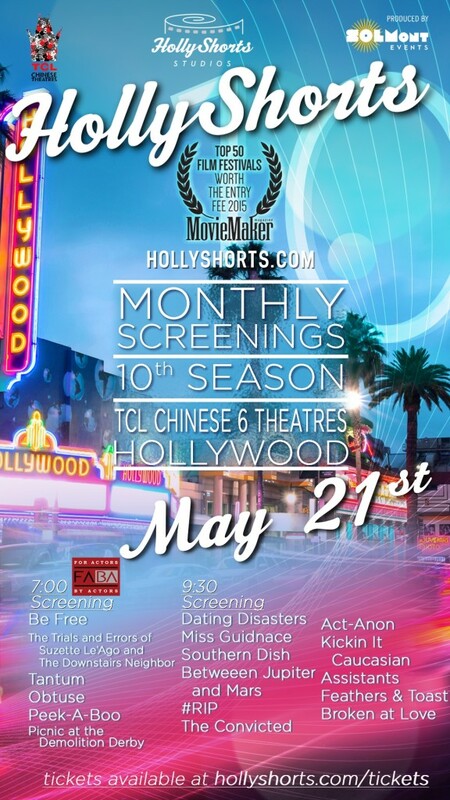 I am so thankful for so many wonderful things this year, family, friends, feather boas and Lulu, Holster and the nominations of Outstanding actress from LA Web fest and also for Diego who received Outstanding Cinematographer nominations…and for you for watching the show. Thank you so much. Champagne and things shall be sent out accordingly. Have a wonderfully feathered day of turkey and things and hope you enjoy this teaser for Saturdays episode.